Eric Bischoff has been called pro wrestling's most hated man. He's been booed, reviled, and burned in effigy. Fans have hurled everything from beer bottles to fists at him. Industry critics have spewed a tremendous amount of venom about his spectacular rise and stupendous crash at World Championship Wrestling. But even today, Eric Bischoff's revolutionary influence on the pro wrestling industry can be seen on every television show and at every live event. Bischoff has kept quiet while industry "pundits" and other know-it-alls pontificated about what happened during the infamous Monday Night Wars. Basing their accounts on third- and fourth-hand rumors and innuendo, the so-called experts got many more things wrong than right. 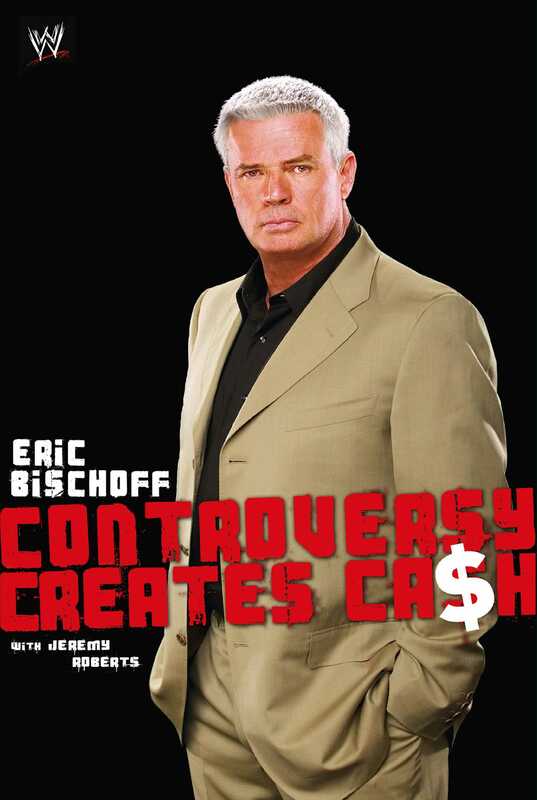 Now, in Controversy Creates Cash, Bischoff tells what really happened. Beginning with his days as a salesman for Verne Gagne's American Wrestling Association, Bischoff takes readers behind the scenes of wrestling, writing about the inner workings of the business in a way never before revealed. He demonstrates how controversy helped both WCW and WWE. Eric gives the real numbers behind WCW's red ink -- far lower than reported -- and talks about how Turner Broadcasting's merger with Time Warner, and then Time Warner's merger with AOL, devastated not only WCW but many creative and entrepreneurial businesses within the conglomerate. Bischoff has surprisingly kind words for old rivals like Vince McMahon, but pulls no punches with friends and enemies alike. Among his revelations: How teaming with Mickey Mouse turned WCW into a national brand. Why Hulk Hogan came to WCW. Why he fired Jesse Ventura for sleeping on the job. Why Steve Austin didn't deserve another contract at WCW, and how Bischoff's canning him was the best thing that ever happened to Austin. How Ted Turner decided WCW should go head-to-head against Raw on Monday nights. How Nitro revolutionized wrestling. Where the New World Order really began. How corporate politics killed WCW. And how he found his inner heel and learned to love being the guy everyone loves to despise. Bischoff brings a surprisingly personal touch to the story, detailing his rough-and-tumble childhood in Detroit, talking about his family and the things he did to cope with the stress of the high-octane media business. Now a successful entertainment producer as well as a wrestling personality, Bischoff tells how he found contentment after being unceremoniously "sent home" from WCW. Love him or hate him, readers will never look at a pro wrestling show quite the same way after reading Bischoff's story in Controversy Creates Cash.